Sara Carbonero is a TV football reporter and the girlfriend of Spain’s goalkeeper and captain Iker Casillas. She even gave him a good old fashioned telling off on live television, after his clanger against Switzerland. Maura Rivera is a Chilean television personality and dancer, who is the other half of the former Liverpool midfielder Mark Gonzalez. Elena Bonzanni is (another) television star in Italy and the girlfriend of West Ham’s Valon Behrami. 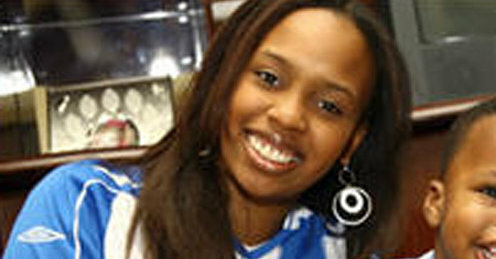 Sandra Norales is a professional handball player and the wife of Wigan’s Maynor Figueroa .